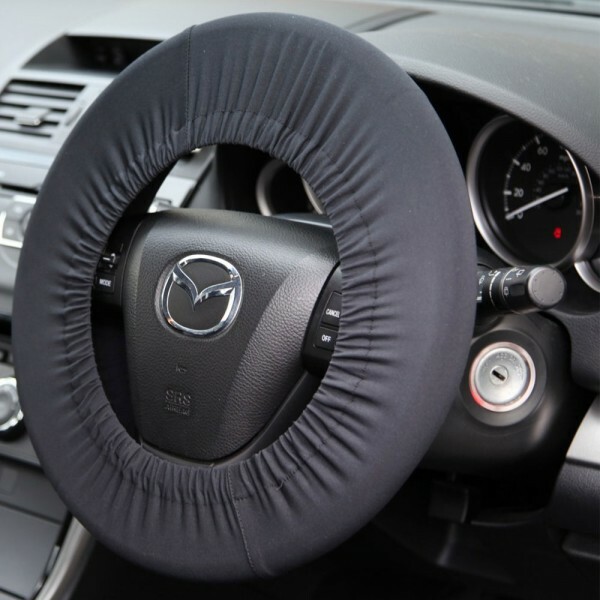 This soft, stretch fit steering wheel cover for Disklok will help prevent lay marks and scratches on soft leather wheels. Extremely easy to fit to the wheel and easily stored inside your Disklok when not in use. One size fits all steering wheels 30 - 45cm in diameter.